A David and a Goliath have shaken up the investment industry this month with new investment products that take the growing trend of low-fee investing one step further and charge no fees at all. Major money manager Fidelity Investments announced last week that it would offer two mutual funds with a management expense ratio of zero — meaning the funds are free to own, and don't eat away at investors' returns with behind-the-scenes investment fees. The two funds announced last week — one which invests in American companies, the other in global stocks — were a giant leap for an investment world that has been slowly inching toward lower fees for years. Fidelity moved first with free funds, but then on Thursday Toronto-based money manager Wealthsimple played a gambit of its own on the trading side, announcing what is essentially a self-service online stock brokerage. 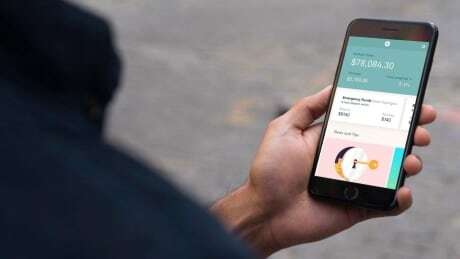 Wealthsimple Trade will allow users to buy, sell and track stocks and ETFs through an app, free of charge, without having to maintain a minimum balance or execute a minimum number of trades every quarter. Right now, all of Canada's big banks, along with a handful of others, offer customers the ability to buy and sell stocks for fees of up to $9.99 per transaction. Fees can sometimes be lower for active traders or those investing large sums. But no one has previously offered free trading with no apparent strings attached. "We're able to offer commission-free trades because we've built a low-cost, digital-first brokerage powered by technology," the company says in a FAQ explaining the deal. "And executing trades actually costs very little for brokerages, so we don't think it's fair to charge our clients big trading commissions." For money coach and certified financial planner Noel D'Souza, anytime investors see their fees go down, it's something to be celebrated. But the word "free" gives him pause. "The trend toward low fee is definitely good," D'Souza says, "but once we hit zero, my question is: How are they making money? And are they making that clear to their clients?" Financial planner Rona Birenbaum agrees that Fidelity's plan hinges on making up lost revenue elsewhere. "Nobody who is a for-profit business will offer something for free if there is no profit potential in it," she said "So really what it means is there's a fee or there's a cost or some kind of compensation model somewhere else." A huge, multifaceted company like Fidelity can probably offer no-fee funds because it has myriad other ways of making money once it has enticed someone in the door — selling them other funds or investment products, for instance, to recoup incremental losses incurred on its free offerings. Fidelity may well have plenty of other imaginative avenues for making money while it cuts its fund owners a break. But Wealthsimple's basic business is offering simple, managed portfolios to novice investors at rock-bottom prices. The company currently manages about $2.5 billion in assets, spread across 100,000 customers in Canada, the U.S. and the U.K. It may not have the heft of Fidelity, but personal finance commentator Preet Banerjee says Wealthsimple's plan is also a shrewd way of bringing in new customers at a marginal cost. "There will be some clients [who will just] buy and hold a few stocks and not pay any fees, but there will be other people that will take advantage of other service offerings," like trading with borrowed money, known as margin, or trading in investments known as stock options — both services the company could easily charge a money-making fee for. Wealthsimple's offering is still in the planning phase, so it's unclear exactly what it will look like, but in terms of simple stock trading, the company says there's no catch — no charge to buy and sell thousands of equities. It says it will charge to convert currencies and mentions other "premium features" to come in the future, which will likely have fees attached. But the company says it will "publish a clear pricing and fee schedule before the product is available." Banerjee says one of the risks he sees with the plan is that Wealthsimple clients might take too much advantage of the free feature and shoot themselves in the foot over the long run. "Some people are going to be attracted to trading more often and trading too much," he says, "and end up hurting more than the cost that [they're] saving." Birenbaum gives the same warning about these products as she would about anything claiming to be a free lunch. "If what you're buying or what you're getting is free," she says, "then you're the product."